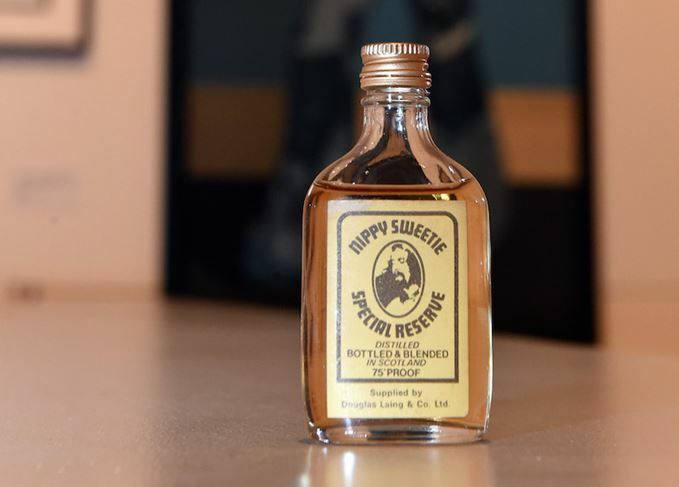 The last known miniature bottle of Nippy Sweetie – a Scotch whisky produced especially for comedian and musician Billy Connolly in the 1970s – has been donated to Glasgow Museums by Douglas Laing & Co. The whisky, blended and bottled by the Glasgow firm and featuring Connolly’s picture on the label, was sold at his concerts in the 1970s. 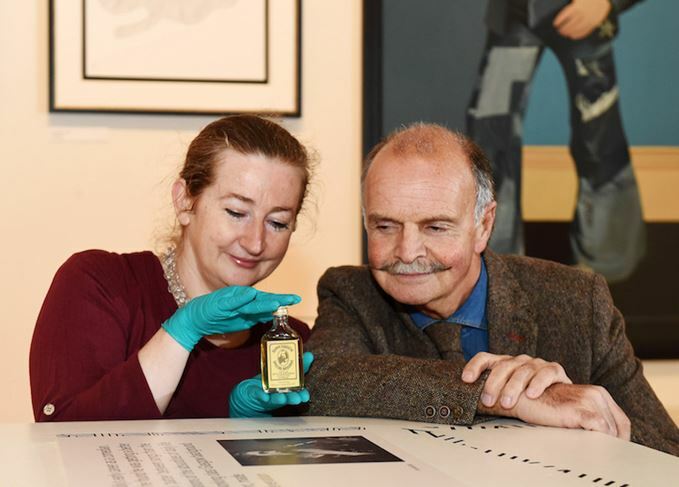 Douglas Laing MD Fred Laing decided to donate the company’s last miniature of the whisky to the Art of Billy Connolly exhibition currently on show at Glasgow’s People’s Palace, which features more than 40 of the Big Yin’s works – including a handmade guitar constructed from a White Horse Scotch whisky box. ‘Billy Connolly’s Nippy Sweetie instils a real feeling of nostalgia in me,’ said Fred Laing. ‘Back in the ’70s – when I first joined the family business – my father and I bottled this blended whisky for the Big Yin. He added: ‘For me, it was a bit of fun in the normally more serious business of Scotch whisky. Art of Billy Connolly runs at the People’s Palace in Glasgow until 21 February. Entry is free.